Hi-Society Boston Terriers is a small show kennel located in Montana. We have been involved with showing Boston Terriers since 1994. Prior to that Cindy showed Boxers for 20 years and Sam showed Afghan Hounds for 19. To date we have bred 47 Champions and some of the worlds greatest companions. Our Champions include a Boston Terrier Club of Canada National Best of Breed winner, multiple Best In Specialty winners, Best Puppy in Show winners, multiple Best In Sweepstakes winners, National Specialty winners, multiple group winners, International, World, American, Canadian, Australian and Mexican Champions, and numerous dogs in the Top Ten. 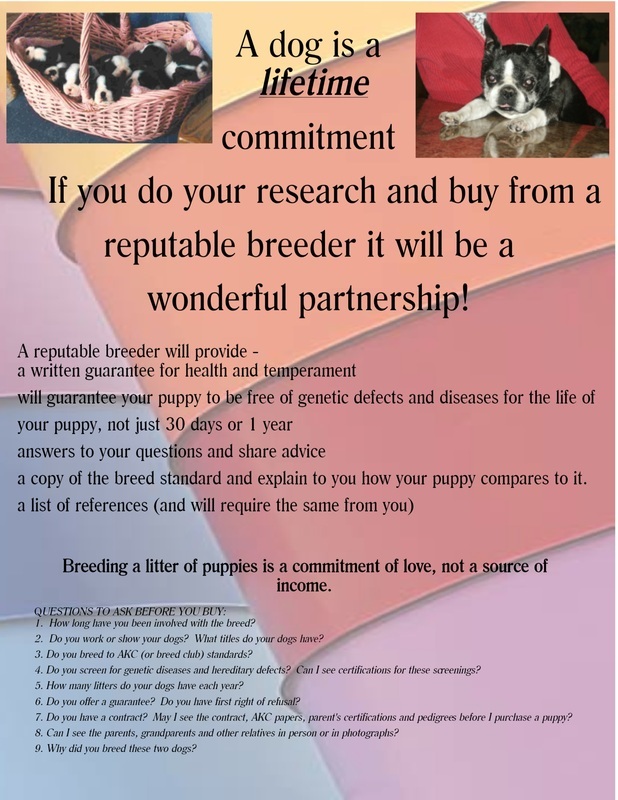 We are happy to share information about Boston Terriers and assist you in locating a reputable breeder. PLEASE do your home work before purchasing a Boston Terrier puppy.